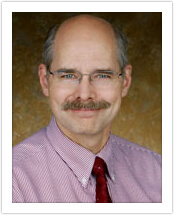 Dr. Jonathan P. Daniels is a board-certified obstetrician and gynecologist, with more than 20 years of experience. Dr. Daniels received a bachelor’s degree in Business Management from the University of Utah. He earned his medical degree at the University of Texas Medical School at Houston. After medical school, Dr. Daniels completed an OB/GYN residency at Franklin Square Hospital in Baltimore, Maryland. Dr. Daniels served as a physician in the U.S. Air Force in Mountain Home, Idaho where he was awarded the Meritorious Service Medal. Most recently, he had a private practice in Kansas for eight years before moving back to Utah in 2009. Dr. Daniels has delivered over 4,000 babies and enjoys helping couples add healthy newborns to their families. Dr. Daniels is currently accepting new patients and accepts most insurance plans.